I’d never heard of RBH’s headphone line before Marcus had let me know about their HP-2 Beryllium. Honestly, I am lesser for not noticing it before. RBH is an American branded company that is well regarded for their loudspeaker designs. I’ve had some experience with their speakers in my past, but never expected them to leap into the headphone ocean and generate such a grand tsunami to follow. I am sad over the all plastic build and housing, but I don’t feel like it is poorly crafted together. There is a bit of creaking, but not severe. The frame itself is a thick plastic material and it makes sense that, for $199, this headphone would have invested more quality into the drivers than it did the exteriors, in order to prevent costs from being too high. If this had an aluminum frame, it would surely skyrocket in price, like the PM3 from Oppo and the NAD Viso HP50 before it. It doesn’t bother me, subjectively. I do understand why it vexes some other owners. It would be unwise to toss this into a bag and abuse it. I’d not do that with any “all plastic” headband, joint, and frame headphone, so you probably shouldn’t do that here. For casual usage though, perhaps on a train or bus, a long walk maybe or just sitting outside enjoying the day, this headphone is more than sufficient. Just don’t toss it on your bed or couch when you are done. If you do, I’d think it could land on a bad angle and maybe cause a stress fracture in one of the joints if done repeatedly. Truth be told, I am unwilling to ravage and force open the HP-2 just to look at the Beryllium drivers and potentially learn more about it. I have no reference to other headphones that use this to compare to for this review in this price tier. Why? Well, the only other headphones that I am aware of on the current market that used a similar setup with Beryllium driver dome tech are the Focal Utopia, which retails for a few thousand US dollars and something I still have not been able to score a sample of for review, and the $999usd Focal Elear. This is interesting to me because I think the Focal Elear is probably my favorite headphone of all time and it just so happens to share the exact same sound characteristics of this RBH HP-2…coincidence!? Perhaps…perhaps. The imitation memory foam leather pads are very supple and forgiving, but as with all closed backs that use leatherette materials, it tends to get hot after about a half an hour of usage. Comfort is excellent, at least in my subjective opinion. I enjoy the headband angle, as it does not bulge outward and employ a large or oddly crescent-shaped angle for the frame, nor does it clamp to an annoying degree. This is a well thought out angle of approach and, thankfully, it doesn’t score any negative marks in physical design elements that I could spot. The frame is plastic, again, but very comfortable and not overly large. 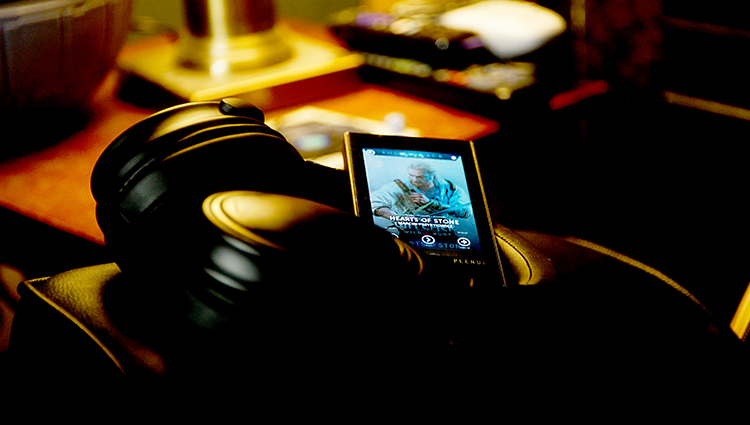 The single sided 3.5mm cable is also a nice touch that makes it more portable friendly. No long cables included, just a portable length, roughly 3.5ft long standard mini termination, as well as a mic enabled cable. This headphone is intended for bass enthusiasts. No and’s, if’s or buts. True, the headphone has three small vented portholes on the side of each earcup, which can be blocked off by your choice of materials if you should want far less bass, but I think you’d be missing the point of this headphone entirely if you choose to block off said vents. Before I get into quantity and quality ratings, I need to talk about responsiveness in a literal sense towards Equalization: this headphone is, perhaps, the most technically proficient middle tier headphone I’ve ever witnessed when referencing bass. Response to EQ is excellent. Meaning, you can raise and drop off a bass booster via EQ and achieve stellar results. For example, I am able to EQ-augment up to +7dB on this already bassy headphone and not worry about quality loss. Control is retained, depth and vividness are expanded. I cannot name any other middle tier headphone capable of comparing in this manner. If you want more bass, feel free to crank up your EQ on the low end to even upwards of +10dB (Mythical, almost unheard of to achieve that without losing a great deal of quality) so long as you are not listening to an extremely bassy track. As an example of how moronic I am with regard to my bass levels, I run with +7dB active on my portable $899 Cowon Plenue M music player when listening to select tracks in the Chillstep genre that are known for softness and immensely deep-reaching bass. If you are cranked up to +10dB of bass, as I have found on my Cowon Plenue M and via .dps’s for Foobar2000 that allow for bass boosting, the HP-2 here can sound overly powerful, bordering on overblown and overly vivid. While I love my bass, there is such a thing as having too much of it if you are seeking it. Taking a step back though, can I really fault it for that…if the aim of this headphone was to offer excellent response and bass quantity to begin with? This headphone responds so well to EQ, that you can easily find yourself EQ’ing like a mad man or woman only to find too much of a good thing…and that in itself…is a good thing. Do you want it? It is there if you do. No worries. If you don’t want it, drop the EQ down and get a much flatter response across the board. Control factor, or, lack of shakiness, is not a problem on this headphone even with absurd bass boosting EQ active until you get to a point where even I, a bass enthusiast, feels too much bass has been added in. At that point, I feel shake and stress on the driver. For $199, I am close to impressed with the purity level of this headphone’s bassy regions. I think this is purposefully unhealthy and fun alternative to the likes of the Oppo PM3 and the NAD Viso HP50, both of which that offer a more sterile approach to bass. As listeners, we were always absent the one that fits the bill for fun factor and vividness in the mid-tier closed back department. We had two, but now there are three titans to choose from and I am subjectively elated that someone made a very exaggerated, very fun, but still clean sounding bass canon. Only a few sets out there have reached into the “very good” bass quality in the middle tier closed back the world of headphones. 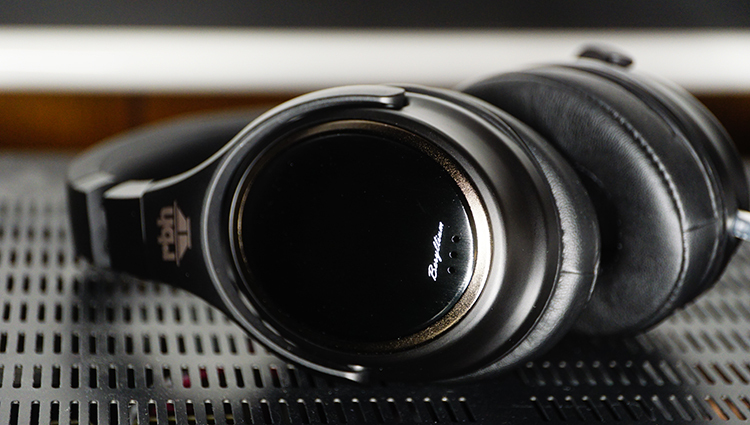 Yes, I think the PM3 sounds cleaner, but I would rate this equal to the HP50 from NAD in terms of quality, which is a headphone that has been exceptionally well rated in this price tier. It is important to note that if you are a purist and want clinical, pristine bass, that this isn’t the headphone for you. The bass on this headphone is thick, powerful and immensely deep reaching. It is a stark contrast to the Fostex TH series type of a bass, which is snappier, purer and less hefty. However, equally as deep-reaching as this RBH. To be honest, I prefer RBH’s route to bass than the Fostex headphones. It is much easier to listen to and far less fatiguing, as physical dynamics and slam factor are moderate, not at all annoying, or wince-worthy. Objectively, the tone is wildly exaggerated, very boosted and of a very high substance factor, similar to what the Philips Fidelio series would sound like if you dropped extra dB’s on the bass end of the spectrum at all times. Purists will hate this, but those like me, who are musicality chasers, will absolutely adore it. 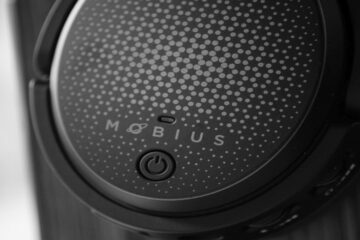 Musicality factor is through the roof on this headphone. Finally, I can say that one of the best overall mid-tier closed back headphones is also intended for you to rock out, jam with, head bang and drop the bass to absurd levels if you want it. Musicians in the studio who are not mixing and mastering, and who just want a nice headphone to use while playing or practicing, should be paying attention to this headphone. As a guitar player, I think this headphone is my pick for musicians to use while on stage or while practicing. It will certainly be my recommendation from now on for anyone looking for a fun, vivid, but still very clean overall sound. This is the ideal type of headphone you want for stage usage, especially if you want to enjoy the music you are playing or currently practicing. I’ve refused to use any other headphone with my guitar amp. The reason for that is directly due to the fun factor and the meaty sound signature this headphone offers. Most guitar amps do not offer high substance in tone, so having an abundant heft to the tonality of the headphones sound signature will make up a bit for that lacking substance in the amplifier. The end result is me enjoying my practice sessions, which is something I currently cannot do on any other closed back in my collective arsenal. The vocal range of this model is only slightly affected by the hefty bass offered, remaining prominent and bloomed enough to not be overshadowed by copious amounts of nether region response. Midrange is well within good parameters, as is showcased more effectively when vent ports are sealed with some tape or when you down-EQ bass levels to +0dB or drop them a few notches below to force the midrange to really shine. During testing, I found that this headphone is also a fantastic midrange device as well as a bass canon. I think that is the first time I’ve ever said anything like that. The reason being: sets like the Fostex TH series, for example, are lacking a bloom effect in the midrange and typically you only find plentiful bass and fantastic midrange in IEM’s. But, RBH has really pushed that midrange out to a place just in front of “moderate” and “relaxed”. It is forward enough to call it forward, but it is certainly not as forward as an Audeze LCD-3, or your pick of a vocal-centric headphone out there with a vividly upfront midrange. Quality, again, is hefty in substance and shooting above its price point at $199. It does compare to the PM3 from Oppo and the HP50 in quality, both of which are the other two best-closed backs in this price tier. Normally, I would expect that by this point, I’d have a negative thing to say. I really don’t have anything but praise about the treble quality on this Beryllium HP-2 headphone. Side by side with my Fostex TH-X00 from Massdrop, using Lawton $600 custom wooden cups, the HP-2 sounds noticeably cleaner and of a higher fidelity. It not only has more purity, but it is much more dense feeling as well. This treble is very similar to how Sennheiser opted to tune their HD650 years ago, retaining a similar brightness and bite, but without feeling harsh and overburdening, taxing and simply annoying. The HP-2 makes it very difficult to actually listen to my TH-X00’s treble response and not immediately want to discontinue using the TH-X00. Objectively, the treble is the star of the show, despite the headphone also piping out the exceptional bass. For this price, I simply cannot name another $199 and under headphone that can match it. It is vivid, sparkled and tonally of a high substance factor for a dynamic driver headphone. But, it also has a good response to Equalization. Although, not as much can be swung either way up top as it can down below. The treble response is just good and can be altered if you want more or less of it via a source EQ. Covering the earcup vent ports also increases the brightness factor of the top end to something I subjectively find undesirable. This is the only real downfall of this headphone that I could come up with. Sound staging and imaging properties are nothing special. What is there, is just fine and more than average in my opinion, at least in terms of space allotted for a closed back. For $199, this is still fine in width, height, and depth of field. The latter of which, depth of field, is noticeably better than width and height factor, allowing for a more cavernous type of a feel similar to the Denon D2000 from years ago. Everything here in the imaging department is just “fine” and shoulder shrug-worthy. It is not quite as deep as the HP50, but it certainly scores higher in imaging prowess than Oppo’s PM3, which sounds a bit more closed in when A/B testing both sets. This is a fantastic headphone. 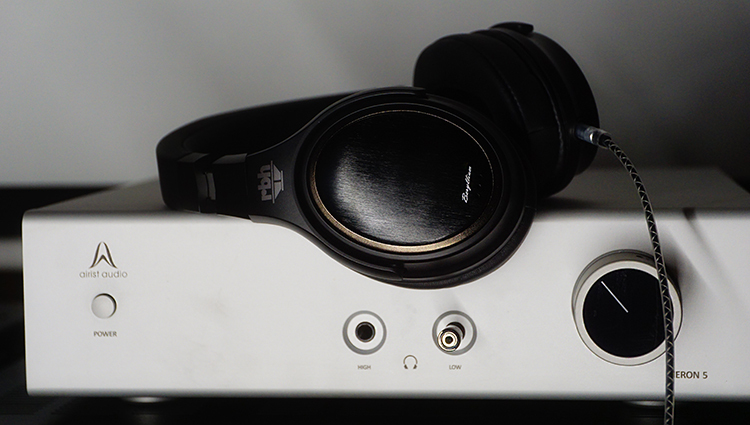 My ears tell me that the clarity of the mids and treble is on par with or very close to the other two top closed backs in this price tier: the Oppo PM3 and the NAD HP50. All three of these headphones fit a niche and now we’ve finally got a serious contender for those out there who just don’t care about clinical accuracy. Those who want to have fun, but also desire very nice levels of clarity, the HP-2 Beryllium from RBH is for you. It is very comfortable and basic in design but boasts massive bass potential, as well as excellent treble for the price. This is probably my favorite closed back headphone sub $500. I can’t put this down and I find myself reaching for it more often than not. The downside is that this headphone is absurdly exaggerated on the low end and very hefty in sound signature, tone, and substance. Purists will not enjoy this headphone. Musicality chasers will hold it in high praise. Great job, RBH! This is one of the best middle tier headphones on the market in sound quality offered. Truth be told, this is a poor man’s Focal Elear. It shares a similar sound signature of the much more expensive Elear and I will certainly be showing this headphone off as often as I can. I want more headphones like this. That is a subjective topic for another day though. Objectively, this headphone is easily a top three contender for the best middle tier closed-back headphones on the market sub $299…I’ve not had this much fun listening to a middle tier closed back in a very long time. Thanks for this review, based on it I took the plunge. I’m not sure your numeric rating for value for the money reflects how great these are, but your writing makes it more clear. These are/were available for 139.00 on rbh’s site and also 139 for a short while on Amazon. There’s no way anything in the price range compares. These headphones sound incredibly good, especially for the price. 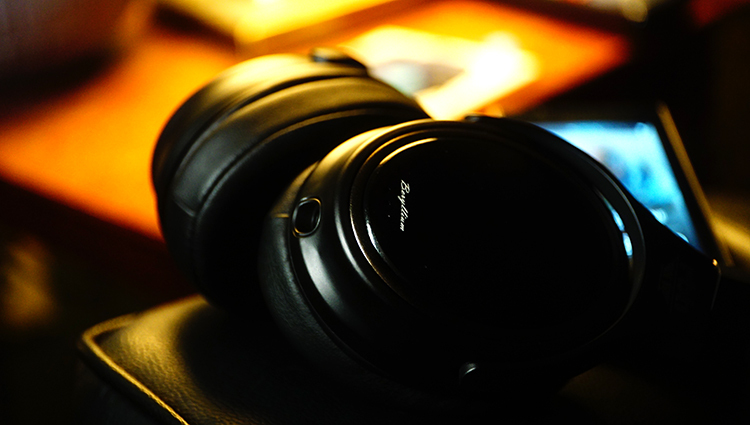 You won’t find a set of headphones for less than $500 that sound better – I promise you. The problem is that these headphones are fragile. The durability of the Beryllium drivers has been problematic for RBH. I’ve owned HP-2s for nearly 3 years. I’ve had to replace my personal set twice (they’re always in my work bag which takes a beating). RBH has been great about replacing them. The sound quality is outstanding. They are extremely light weight and comfortable. Their build quality is only average or slightly less than average. I know what good sound is. I have a $15K Hi-Fi system at home. These are the only headphones I’ve ever enjoyed listening to. 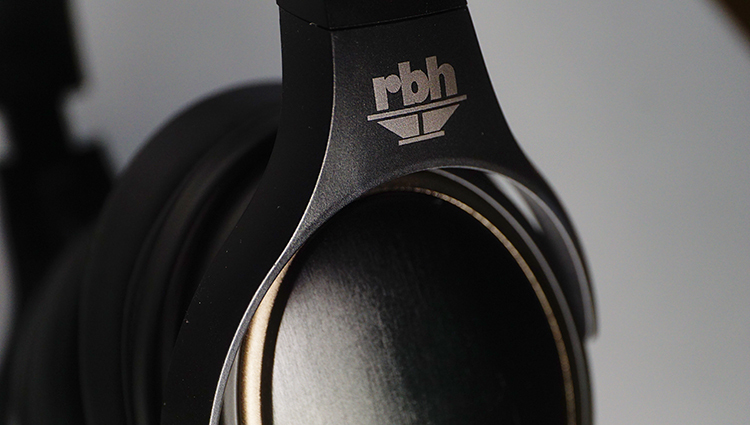 If you purchase these, I suggest going directly to RBH at http://www.rbhsound.com They stand behind their product. I recommend their people 100%. I recommend the sound quality 100%. I hope they can tweak these outstanding beryllium drivers to make them a bit more durable. Great review on an underappreciated and underrated set of cans. How do these compare with the Focal Listen’s? Thank you. The guys were pretty low profile when I met them also in Singapore. Truth be told I might not have stumbled upon them myself if it was not for the huge amp resting underneath the headphones. Glad I found them. Do you still have them? I’ve just got a pair based on your review and there’s weird channel imbalance in lower mid-range. Could you do frequency swap and check it on yours? Subbas is really great and they generally seem good, but sometimes harsh. Too bad that soundstage is so congested, though separation is excellent. Thanks for this review.. Modders would get hold of this fast for the drivers. Speaking of Be drivers, any plans reviewing the Periodic Audio Be IEMs? We will be doing a review them in October. 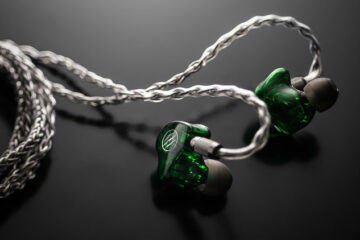 Don’t panic times flies by quickly and we have all 3 of their IEMs in the office. Amazon, producer site… there is no option to buy and deliver to Europe. What a pity. Have you tried a forwarding shipper? I use them a lot when buying off Amazon US. Something like Borderlinx and Skybox might be the best way. On producer site there’s a mention that they do shipping worldwide but you need to write to them and ask. Toss me an email at [email protected], I might be able to bridge you to RBH directly for a purchase. My experience with the Elear was that it was responsive, because of the unusual flex of the driver. You can hold one and blow gently into the earcup and watch in amazement as the driver excursion is huge for its size. Imagine a speaker, a woofer with a 10 inch cone and a 3-4 inch excursion. Maybe I’m exaggerating, but not much! Anyway, that was the lesser impressive thing about the Elear for me. What was really unusual compared to my other open-back headphones was the reduced background “noise”, presumably the lack of reflections inside the earcups, especially noticeable in the higher frequencies. I didn’t notice it so much on first listens, but it was striking when making the direct comparisons.